William Goldman says, so he must be right. The ending is where, as authors, we wanted to go all the time, although maybe we were not aware of it. Some endings can be surprising, but, if so, they must be surprising AND logical at the same time. Does it sounds contradictory? Thus the magic of it. Make the logical thing feel unexpected. Cinema Paradiso: All the movie kisses that the protagonist never saw. So meaningful and fulfilling. Seven: The Seven Sins, completed. So meaningful and fulfilling. So logical and surprising. 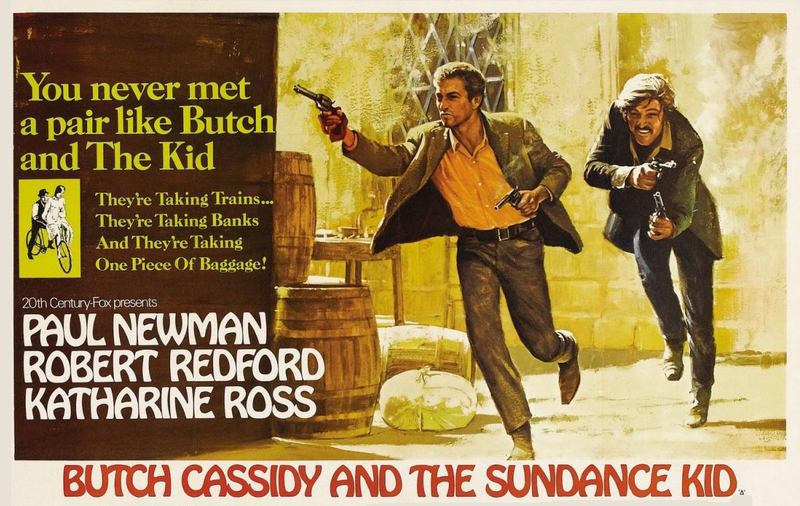 Butch Cassidy and The Sundance Kid: Life has changed and there’s no room for bandits like Butch and The Kid anymore, so for them there’s no way out…. but to become a legend. So meaningful and fulfilling. Star Wars: Luke destroys the Death Star by giving his instruments and using The Force and The Force only. So meaningful and fulfilling. So logical and surprising. Zoolander: Derek Zoolander stops a bullet in the air by using his Magnum Look. So meaningful and fulfilling. So logical and surprising. So amusing. Shocking is not enough. Surprising is not enough. Shock and surprise are two paths to achieve meaning. Meaningful is enough. One of Syd Field‘s favourite mantras is “KNOW YOUR ENDING”. And here I find myself at odds with him. I do believe that at some stage you have to know your ending, but I do not think that you have to from the very beginning. Writing is a voyage, and sometimes, when you travel, you get to unexpected places. Those places will make your travels worth remembering. Of course you have to have some ending when you work. But probably the final ending will appear in front of you as, by sweating and working your brains out, you get to know the characters, the plot, the atmosphere, the genre and the style. But still, if KNOWING YOUR ENDING from the very beginning works for you, please use it. I wouldn’t. (Check our posts On William Goldman’s ADVENTURES IN THE SCREEN TRADE and On Syd Field’s SCREENPLAY). This entry was posted in POSTS on screenwriting, SCREENWRITING and tagged Butch Cassidy and the Sundance Kid, Cinema Paradiso, Endings, Seven, Star Wars, Syd Field, William Goldman, Zoolander. Bookmark the permalink.